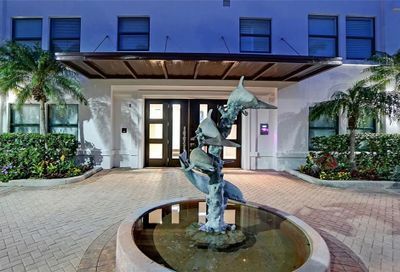 Current Downtown Condos For Sale in Majestic Bay – Sarasota FL. Majestic Bay condos in downtown Sarasota’s Golden Gate Peninsula are a boater’s paradise. With a private boat dock available within steps of your new home, what else could you ask for? The 10-unit condos, built in 2004, also boast a pool, hot tub and spa, in addition to elevators, covered private garage and fitness room. 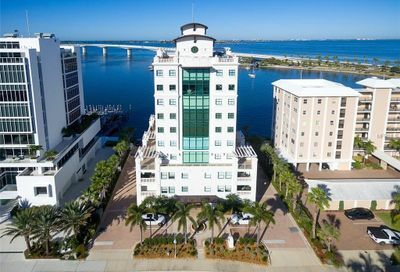 The view from the condos is to die for – facing west, you can soak in the gorgeous sunsets over the Ringling Bridge, Bird Key, Siesta Key and Longboat Key, and of course, Sarasota Bay. The Golden Gate Peninsula neighborhood has been recently revitalized, and now has brick-lined paths and roads, as well as park benches and street-level gardens. A short walk via the Marina Jack path will get you to Island Park, complete with a children’s fountain and swing sets. The Marina Jack II sets sail from the marina, with both afternoon sightseeing tours and evening dinner cruises available. Main Street Sarasota is just a few minute’s drive from the Majestic Bay condos, or you can walk if you are feeling industrious. With multiple boutiques, and casual and fine dining available, you will be sure to find something that strikes your fancy. The beaches of Sarasota, located on Lido Key, Longboat Key and Siesta Key, are an easy drive, all under half an hour away. The soft sand and turquoise water beckon; shopping at St Armands Circle is an experience unto itself, with unique galleries and stores. Majestic Bay offers upscale living in one of the more prestigious areas of Sarasota – Golden Gate Peninsula. The amenities will draw you in, but the sunsets will make you stay.